On July 27, China’s National Bureau of Statistics (NBS) published data for industrial firms. According to the data, SOEs saw a 31.5 percent increase in profits from a year ago (link). Taking Chinese Communist Party (CCP) data and statements at face value has always been a risky proposition, and much more so this year as our research has uncovered (see here, here, and here). 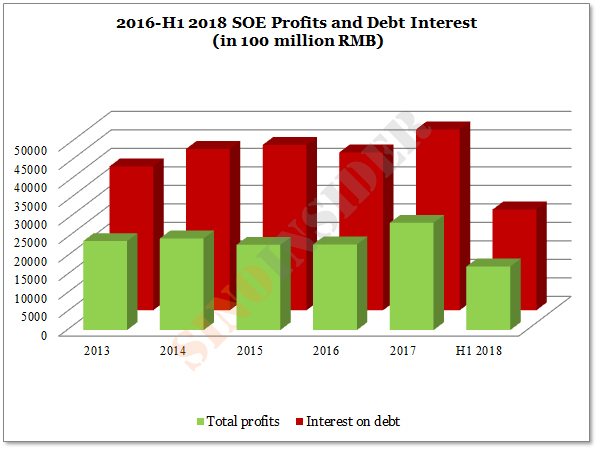 We compared the 2018 SOE data with that from previous years, and found that the CCP’s SOE debt financing strategy resembles a Ponzi scheme. The CCP should find it hard to sustain the “Ponzi scheme” with the outbreak of the Sino-U.S. trade war. The financial health of SOEs is of great importance to the CCP, which practices the economic policy of “guo jin min tui” (“the state advances, the private sector retreats”). 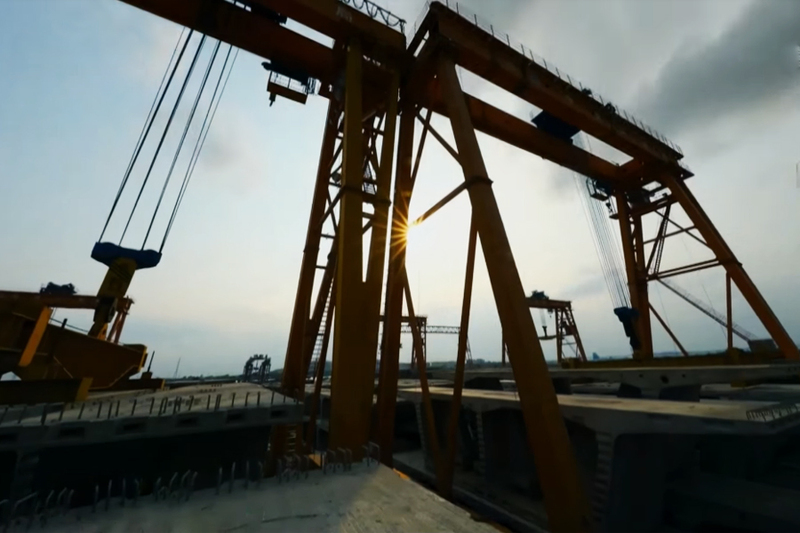 If the SOEs are financing their debt with a “Ponzi scheme,” then China faces tremendous debt risks in the second half of the year. 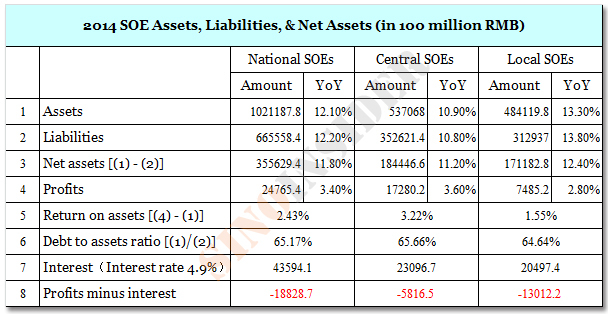 As can be seen from Table 1 to 6 and 8, SOEs cannot pay interest on their financing liabilities even if they are granted very favorable interest rates, let alone pay principle. In other words, China’s SOEs are relying on new debts to finance old debts to maintain operations, and are engaging in classic Ponzi financing. 2. 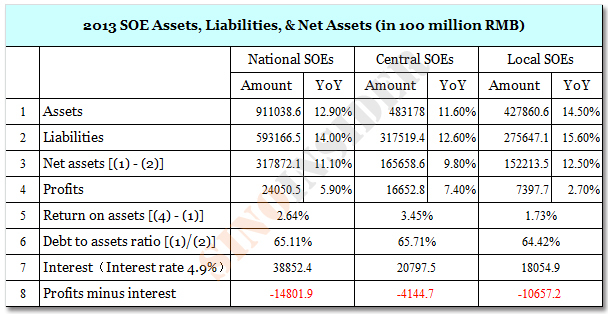 The value of SOE assets increased from 91 trillion yuan in 2013 to nearly 171 trillion yuan five-and-a-half years later (see Table 7). 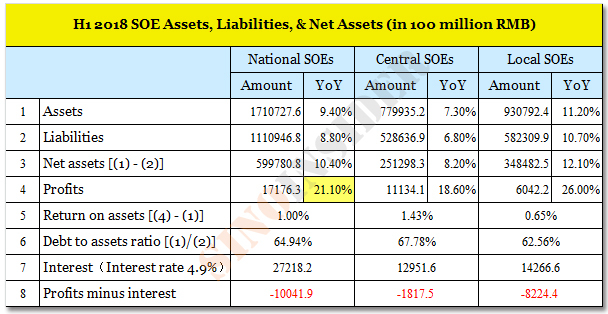 SOE liabilities also surged from nearly 60 trillion yuan to 111 trillion yuan in the same period. 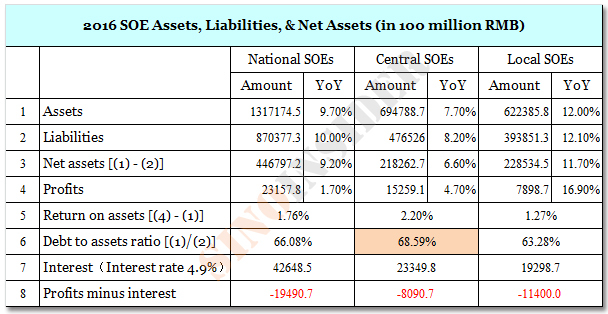 The overall debt to asset ratio of national SOEs is close to the 70 percent warning line (see Table 10), and could even have passed the warning line if the small number of well-managed companies with debt to asset ratio of less than 60 percent are considered. 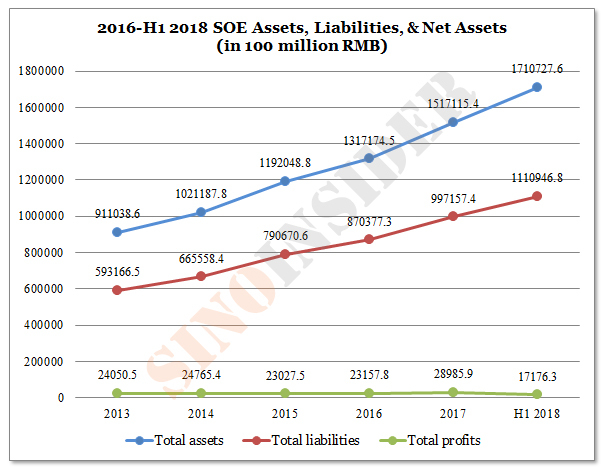 Between 2013 to mid-2018, the assets and liabilities of Chinese SOEs have nearly doubled, but profitability has not simultaneously increased. 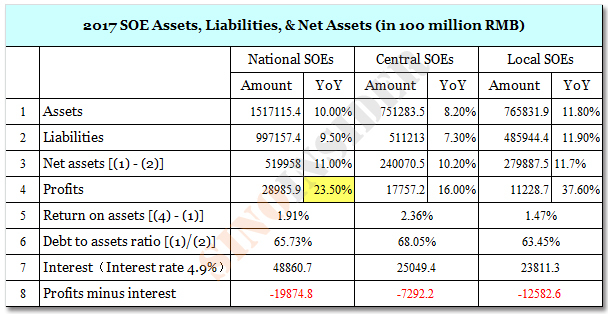 Return on assets for SOEs are all below 3.5 percent, a very low figure (see Table 9). Except for 2017 where profits were close to 2.9 trillion yuan, the annual profits per year were less than 2.5 trillion yuan. And the SOEs cannot pay interest on their debts with the total profits they made annually in the past five-and-a-half years. In H1 2017 and H1 2018, the profit growth rates surged from an anemic 1.7 percent in 2016 to 23.5 percent and 21.1 percent respectively (see Table 1 and Table 2). However, the higher growth rates are not due to improved management of SOEs, but are the result of the CCP’s so-called “supply-side reforms,” i.e., ordering small and medium-size private enterprises with high energy consumption and high pollution to shut down to curb market supply and boost profit margins. 3. The main reason for the SOEs’ low profitability and the seemingly contradictory two-fold increase in asset value in recent years is soaring real estate prices (which in turn is caused by excess liquidity released by the central bank). As asset prices go up, the SOEs can continually mortgage their assets to finance their new debts, and thus maintain and expand business operations. The SOEs, however, are having troubles with their Ponzi financing scheme this year because a debt crisis has been triggered by three factors: Beijing’s deleveraging campaign, shrinking liquidity, and the Sino-U.S. trade war. Also, a new ruling from the top CCP leadership is set to compound the SOEs problems. The Politburo decided to “resolutely curb rising housing prices” during a July 31 meeting where economic work for the second half of the year was discussed. Should there be follow through on the decision, then real estate prices would either remain flat, trickle upward in a less conspicuous manner, or start to plummet. 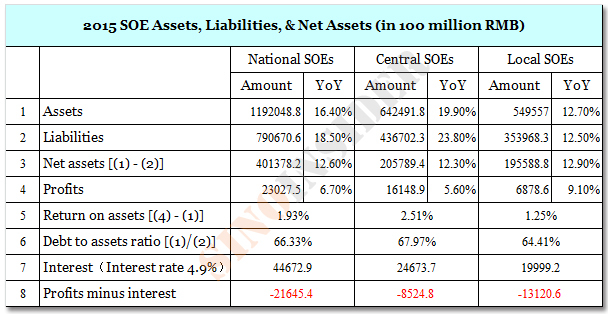 All three scenarios would pose immense problems for the SOE’s Ponzi borrowing. Based on our research and understanding of the CCP system, however, we believe that the top executives in the SOEs would not be too worried about the latest setback to their debt financing strategy. Instead, the ones with real headaches are the MoF, the central bank, and the CCP elites.